There are more marriages that are dysfunctional and unhealthy then there are marriages that are thriving in today ’s society. 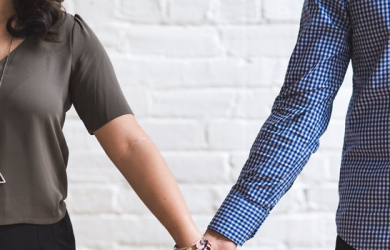 The reasons for that are many, but the reality is many people right now, reading this article, are unhappy with their partner and are plagued with the question, if one person can save a marriage? Can one person in a two-person marriage to turn that relationship around? For the past 28 years, number one best-selling author, counselor and life coach David Essel has been helping individuals in the world of dating and marriage to make the best decisions possible, in order to turn those relationships from dysfunctional to functional, and then to thriving. Below, David talks about the tools that he uses to help couples in a dysfunctional marriage to turn it around, once and forever. “ A number of years ago, a new client from Europe contacted me because his marriage was in a terrible state. They have been together approximately 20 years, had traveled from the US to Europe for job positions, and now he was wondering if he made a mistake in committing himself to his wife for the rest of his life. It wasn’t long after beginning our work together, that I saw what he was saying was absolutely true: they had one of the most dysfunctional marriages that he had ever seen and didn’t think he could turn it around. His wife wanted nothing to do with counseling, she didn’t think it would be effective at all. So he came to me via Skype and said he wanted me to help him decide if the relationship was even worth staying in. After getting to know him, and his version of the relationship, I offered him a solution that I thought for sure would turn the marriage around, or if it didn’t it might make or at least tolerable for now. And the solution? He needed to quit being right. Now before you smile, and think about your husband and say to yourself “he needs do the same thing“, if it was a woman coming to me I would say the same thing to her… It’s up to you to turn it around. Because the person coming to me for help is the only one that could potentially turn it around. Common sense right? So if I were to say to him at the time, here are recommendations for your wife to do to help the marriage, do you think she would even listen to him? Of course not. Anytime we give our partner advice about what they need to do, it’s like talking to a brick wall in most cases. So I gave him a challenge. I told him that for the next 90 days, I wanted him to allow his wife to be right. No questions asked unless it was a life or death decision. But besides a life or death decision, I wanted him to get humble, vulnerable, and quit arguing over things that truly we’re not worth fighting about. And if you’re in a dysfunctional marriage right now, if you look in the mirror, you know how damn hard this is when you have resentments from the past, the present, and you’re probably even thinking about the resentments you’re going to have in the future… You know how hard it is to pull back, take a big breath, and allow your partner to be correct, to be right. It takes a Herculean effort in the beginning anyway, to drop your small ego and to allow your partner, and their wishes, to be completed as they desire. One of the areas that they were recently battling about, was refinishing the inside of their home. They decided to tackle this job together instead of hiring people from the outside because they both loved interior renovations. She would ask him to take the doors off the hinge to sand down before she painted them, but he refused. Doesn’t sound like a big deal does it? Until you realize, that within 15 minutes of her him telling her he was going to sand the door differently, they got into a huge war. She knew her way was the right way, and he was adamant about his way being the right way. Because they had so many more opportunities inside the house to make the changes they need to make, I told him that he had a great number of chances to turn the marriage around, if he would just allow her to be right, follow her lead, and let’s see what happens. Within six weeks the relationship was totally reversed! Isn’t that amazing? Some people call it a miracle, but I just call it dropping the small ego in order to save the relationship. They had a few bumps in the road, but nothing as traumatic as what they had gone through in the past. As I tell all of my clients, in every marriage or relationship there has to be a leader, someone who is willing to do the hard work, and if one of the individuals takes the position of leader, and in this case the hard work is allowing your partner to be right, many times the other partner will also start to drop their guard, to be more open and vulnerable. And that’s exactly what happened with this marriage. Make a decision starting today, mark it on your calendar, that for the next 90 days you’re going to allow your partner to be right. No questions asked unless it’s a life or death situation you’re just going to get out of the way and do things the way they are asking you to do it. Every evening you’re going to keep a journal on how you’re doing. Did you push back at all? Did you get into an argument and then realize several hours later that you could’ve avoided it by just saying “yes.”? Give yourself a high-five, for the days that you accomplish this one task. If you slip up? Apologize immediately, simply tell your partner that you made an error, that you should have done whatever the issue is their way, and that you apologize. Don’t make a big deal out of it, but just apologize immediately. Some people when I make these recommendations pushback very harshly, there’s no way they’re going to let their partner be right. And if you want to hang onto that kind of attitude, just go ahead and file the divorce papers today. Don’t waste your time. Don’t waste your time on counseling, if you’re not going to take the advice of someone who’s been doing this type of work for a long time. But if you’re open to seeing how relationships can be salvaged, then absolutely do what I recommend here. Even if it means you separate for 90 days and live in separate homes, get out of the arrangement as fast as possible. Quit enabling. Quit hoping for a great future, when their addiction is out of your control. The answer? Once again, separate for at least 90 days, and let them know that if they can’t clear up their addiction in 90 days will be formally separating and then filing for divorce. I don’t mess around with physical and or emotional abuse and or long-term addiction. My opinion may sound harsh, but it’s the most respectful thing you can do for yourself, is to protect your present and future by taking serious action if you’re in either of the above two situations.